That’s how one of Michelle Obama’s policy advisors described the United State of Women Summit, reflecting on the Summit’s goal of developing a shared agenda for women and girls. Convened by the White House, the Summit is a chance to examine what we’ve achieved in advancing the rights and well-being of women and girls in the US and globally. It’s also a critical time to reflect on what remains to be done, and leverage that momentum to power forward what comes next. Because while much progress has been made, there’s still a whole lot more to do. I’ve seen first-hand that the issues on the agenda today—from gender-based violence to girls’ education to economic and leadership opportunities for women—aren’t just American issues. They’re global issues. 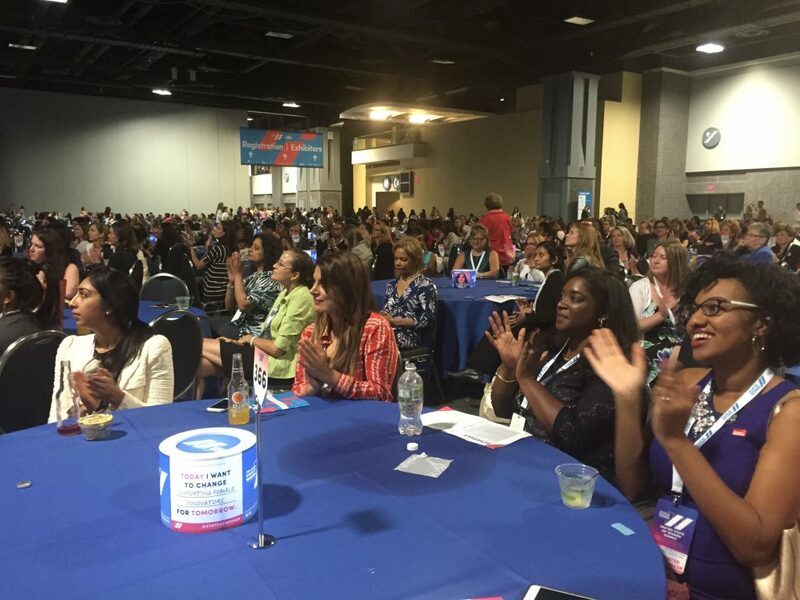 The United State of Women is the first Summit of its kind, bringing together thousands of leaders working to improve the lives of women and girls in the US and around the world. Leaders from Michelle Obama to Warren Buffet, Oprah and policymakers across the political spectrum are joining leaders from civil society, business, media and government to discuss our ongoing challenges and ensure that making concrete progress for girls and women is central to our joint agenda. 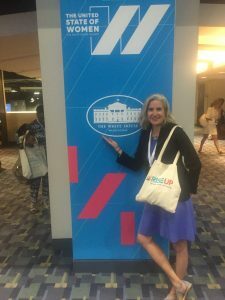 I attended the Summit in my capacity as founder of Rise Up, which advances health, education and equity for girls, youth and women everywhere. During the Summit, I had the chance to speak with some of the most visionary leaders in our field—and a few key themes emerged. Many of these issues are central to the new United Nations’ Sustainable Development Goals, which reflect the importance of women and girls to building a safer and more sustainable planet. Building on this global conversation here in the US, the United State of Women gives us the chance to focus on core issues of domestic and global relevance, including economic empowerment, health, education, violence, entrepreneurship and civic engagement. One of the Summit’s central themes is the economic empowerment of women and girls, with the recognition that we still have a long way to go. Though the wage gap has lessened slightly, women still earn 79 cents on the dollar compared to men. Paid sick leave, paid family leave, childcare, a livable minimum wage—basic standards in most wealthy countries—too often still feel like a pipe dream here in the US. Here in the US and on a global scale, ensuring the health of women and girls is still a major challenge. While maternal mortality rates have decreased globally, the US is one of only eight countries in the world—along with Afghanistan and South Sudan—where maternal mortality rates have actually increased, especially among women of color. And globally, 800 women still die every day due to pregnancy and childbirth complications. The majority of these maternal deaths are preventable, but we will only transform these devastating realities by prioritizing and investing in the health of girls and women, everywhere. Continue reading the full article on Ms. Magazine.